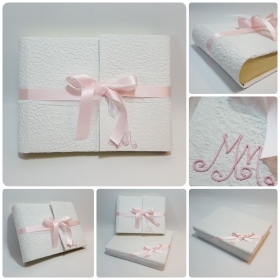 We make photo albums using only natural materials of first choice, checked and certified. 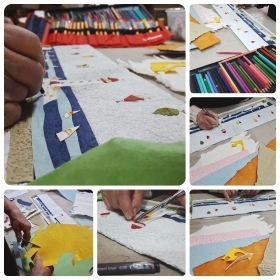 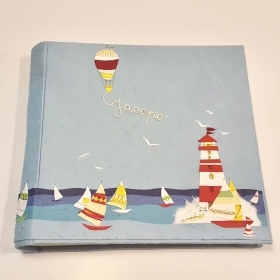 Made entirely by hand using traditional techniques, we give the possibility to customize the album through the decoration of pages and paintings, phrases and applications of photographs on the cover to make the emotion of every step towards the growth of your child indelible. 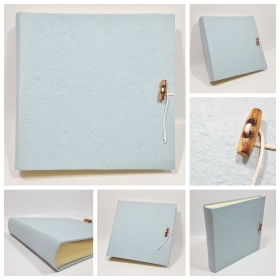 Photo album coated of Paper light blue. 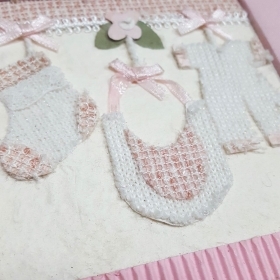 The decor is made with collage techniques by using fabrics and papers, you can customize the decor of the album with the baby's name or a dedication. 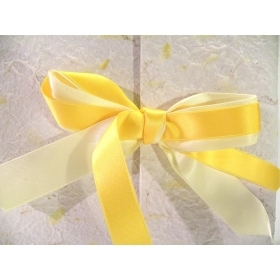 Each decoration is a unique piece created by experienced craftsmen with carefully selected materials. 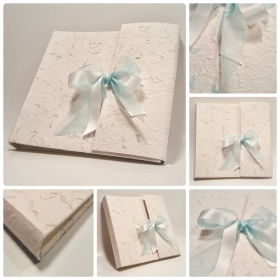 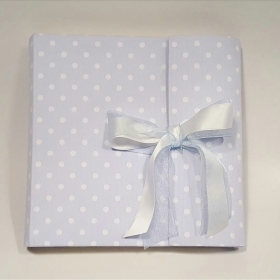 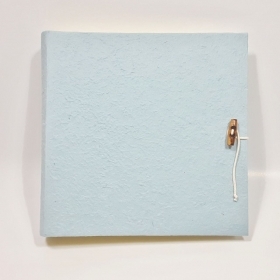 Photo album covered with light blue paper and satin ribbon. 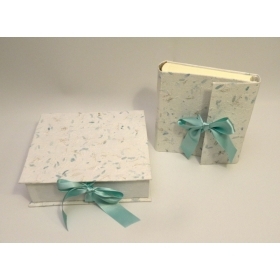 Photo albumcovewred with provence turquoise paper and turquoise satin ribbon. 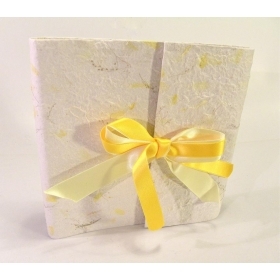 Photo album covered in yellow provence paper and yellow satin ribbon. 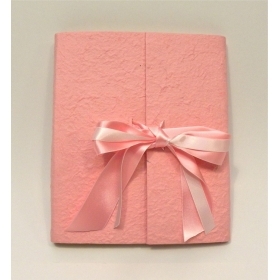 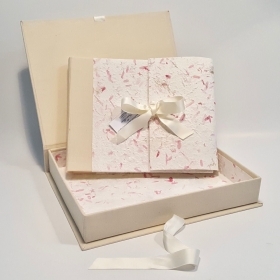 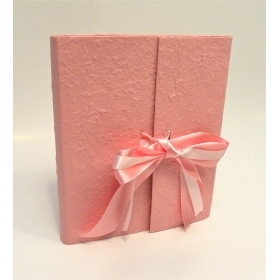 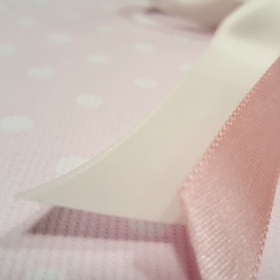 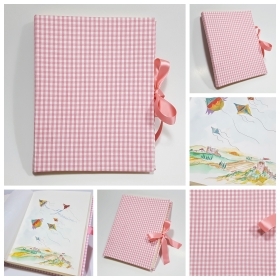 Photo album covered with cotton fabric squares, pink satin ribbon. 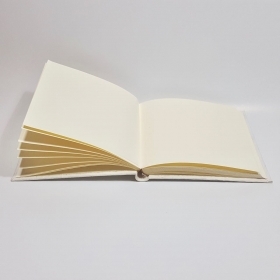 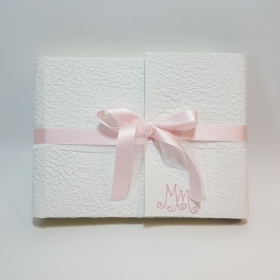 Photo album covered with white paper, organza and satin ribbon. 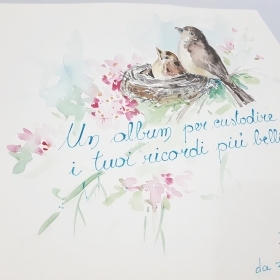 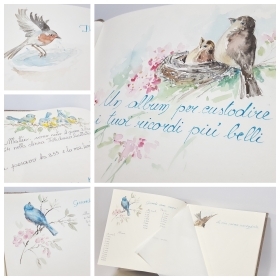 Watercolor decoration, hand painting.The decoration can be personalized with names or dedications.Each page costs € 10, select the article several times to decorate more than one page. 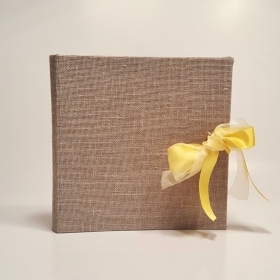 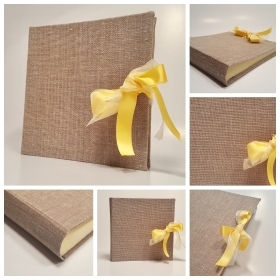 Photo album covered with casaro canvas, yellow satin ribbon and organza. 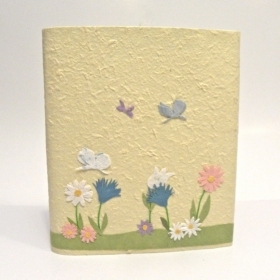 Photo album decorated with a handcrafted decoupage. 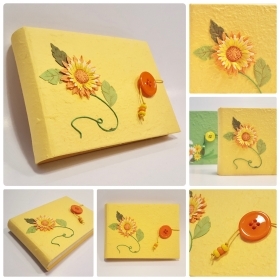 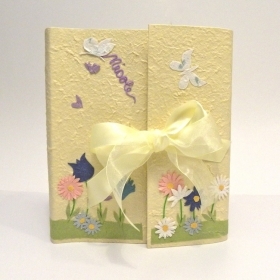 Photo album covered with yellow paper and flower decoupage decoration. 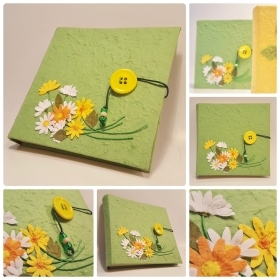 Photo album covered with green paper and decoupage decoration. 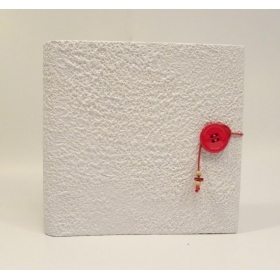 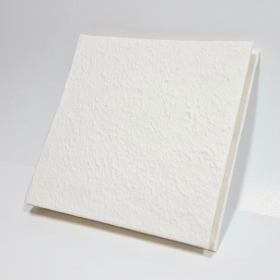 Photo album covered with Moonrock white paper, red button closure. 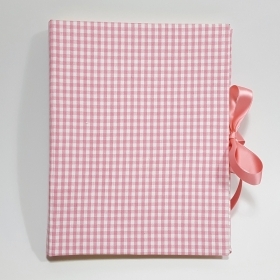 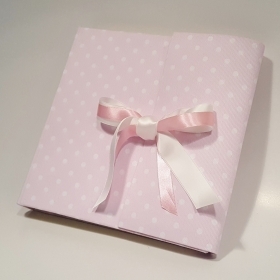 Photo album covered with pink cotton fabric polka dots. 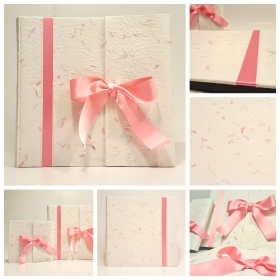 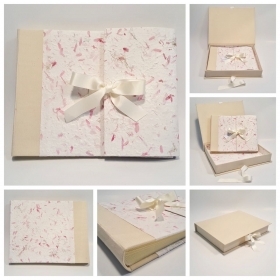 Photo albums covered with paper rose Provence , cloth spine canapetta ivory and ivory satin bow. 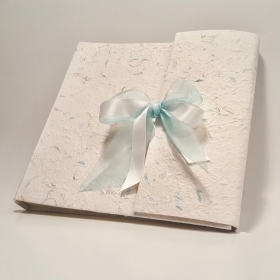 Provence is a mulberry paper embellished with delicate petals that make it elegant and refined, conveying feelings of serenity. 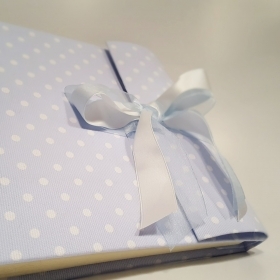 You can decide the number and color of the inside pages of the album, Provence is a paper that will preserve your memories forever. 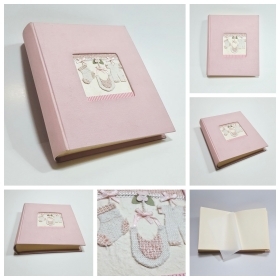 Photo album covered with pink paper. 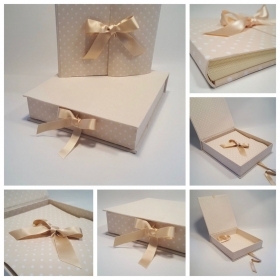 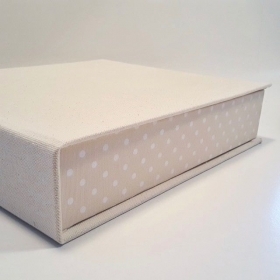 Photo album covered in beige cotton fabric with polka dots. 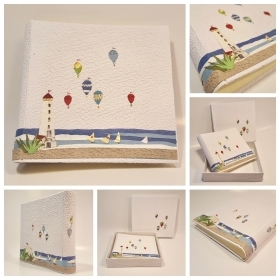 Handcrafted photo album decoupage, made by skilled craftsmen using traditional techniques, each album is unique. 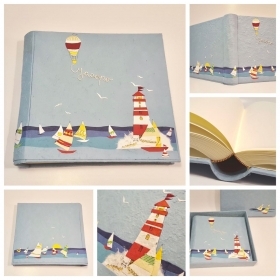 Handcrafted photo album, adorned with decorative decoupage the Lighthouse, created by skilled craftsmen using traditional techniques, each album is unique. 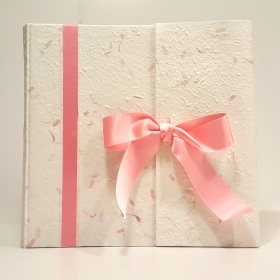 Photo Album covered with paper. 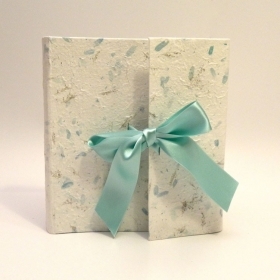 Photo album paper turquoise provence with satin bow and organza. 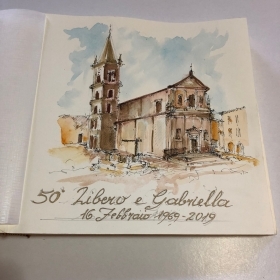 Hand painted watercolor decoration that reproduces the photo of the church where the wedding is celebrated.The decoration can be personalized with names or dedications.